Today I am celebrating two years since I started my blogging adventure :-). I can't believe how quickly it's gone! Dzisiaj swietuje 2 latka od kiedy zaczelam swoja przygode ze skrapowym blogowaniem ;). Nie moge uwierzyc jak szybko ten czas minal! I would like to say special thanks to Sarah, who introduced me to the world of blogging and also to Wendy from the Stamp Attic, Ruby, Caz, Val and Carol - my first crafty friends who I had the pleasure to meet in person in the early days of my crafting journey ;-). 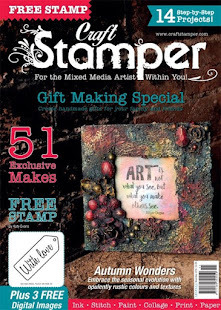 And also big hugs to all of my close blogland friends and all my DT Sisters from the current and previous design teams for being here for me, supporting my crafty efforts and making me feel special...;). 1. Put the picture of my candy in your side bar, linking back to this post, so more peeps can join in the fun. 2. Please join my Magical Blog Friends by clicking the magic button 'Join this site' ;). 3. If you also join me on Twitter or 'like' my Facebook page, you will be entered into the draw twice (or three times if you do both lol). 4. Last but not least - to enter the draw, please leave me a comment below letting me know if you already are or have become my blog, Twitter or Facebook follower, just so I know how many times I need to put your name in the hat! 1. Dodaj zdjecie mojego candy do bocznego paska na swoim blogu, linkujac do tego posta - im wiecej nas tym weselej ;). 2. Dolacz do obserwatorow mojego bloga klikajac w pole "Join this site". 3. Jesli dolaczysz rowniez do moich obserwatorow na Twitterze i/lub Facebooku, to wrzuce Twoje imie do kapelusza podwojnie (lub potrojnie!). 4. Na koniec zostaw ponizej komentarz, zebym wiedziala, ze chcesz wziac udzial w zabawie ;). Napisz tez, w jaki sposob obserwujesz mojego bloga (blog, Twitter Facebook) - zebym wiedziala ile razy wrzucic Twoje imie do kapelusza. The candy will close on the 17th May and I will announce the winner by Sunday 20th May ;-). Zabawa zakonczy sie 17tego maja i szczesliwy zwyciezca zostanie ogloszony najpozniej do niedzieli 20tego maja. Thank you for celebrating with me my 2nd Blogaversary! Dziekuje za udzial w zabawie i wspolne swietowanie mojej 2giej blogo-rocznicy! Amazing Blog Candy my friend, fabulous goodies and thanks for the chance to win. I have already added to my sidebar and of course I follow you here and on twitter. Your work is always so special and beautifully designed. You are one very creative lady - and full of fun. wow Joanna...this is a HUGE giveaway! Congratulaions on your 2nd bloggaversary. May the best be yet to come! I am in all 3, and your awesome candy is on my sidebar. Popped you in my sidebar. I'm already a follower on here, fb & twitter. Beautiful candy!! I am already with you on F/book and thought I was on your blog friends list ... as I had you on my blog list forever ... Now I am! Many congratulations on your 2 years Joanna and OMG what amazing candy! I think anyone on a diet will be throwing it out of the window on seeing this lol. Off to add this to my side bar for you to spread the word. Hi! I've joined your site and I've linked your candy to my side-bar! Thanks for the chance! 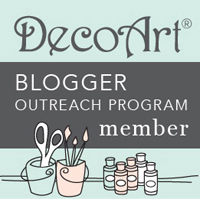 It is something to celebrate, two years of Blogging and for me personally, to be one of your DT sisters. As for this candy, oh my goodness do I have a sweet tooth lol. I will most certainly add to my sidebar (just allow me some time please :), I am already a Follower but as I am not a Modern Miss I am not on Twitter or Facebook - I know, I really need to get with the times lol. Thank you for the wonderful opportunity to be part of your celebrations. With me having a birthday in May does that bring me anymore luck?!!! P.S. I've added your candy to my side bar too ! Ojej kiedy ja w końcu będę na diecie jak co i rusz jakieś pokusy :):) Chętnie się zapiszę, blog i facebook obserwuję na twitter się nie znam (jeszcze ;) Pozrdawiam, A.
Hi Joanna, Congrats on the 2years in Blogland! This is very generous candy and I will put a pic on my sidebar together with your link, I dont do Facebook or Twitter, maybe I should look into that! Hope you have many more years in Blogland inspiring us all. Hi Asia, congrats on 2 years of blogging. I am your new follower. I'm not on a diet so I would love to join in the celebration. Also posted on my blog sidebar. Follower already! Facebook liked, twit follower and done you a post on my blog - will sort the sidebar later as well but I'm off to pack for going away tomorrow. Great blog, superb candy!! Happy 2nd Anniversary! Congratulations on your 2nd blogging anniversary! What a fabulous, and extremely generous giveaway, I'm most certainly not on a diet, lol. I'm already a follower but have popped you in my sidebar with a link to you, and also liked you on FB (I'm afraid I don't tweet!). Here's to another year of wonderful creations. So happy to have meet you here in blogland.. I just love seeing all your creations.. Congrats on your two years of blogging!! That sure is some sweet candy..
Pozdrawiam i pędzę podlinkowywać zdjęcie u siebie. Joanna, I am so happy to have gotten to know you and be on the FSC DT with you! Your creations are always so inspiring! Already follow and all that good stuff (don't twitter) and happy to share your sweet and generous candy! Happy Blogaversary and many more!! Hi Joanna, congratulations on your second blog anniversary!!! zapisuję się na candy, przede wszystkim dlatego, że też zamierzam zacząć tworzyć różne cuda..
Gratuluję z okazji rocznicy,ja tu co prawda od niedawna, ale na pewno zostanę na dłużej. W kolejce po takie słodkości staję bardzo chętnie. Happy Blogaversary Joanna. Great to find you in blogland and if I can get your giveaway picture on my blog I will but having problems doing that at the moment. Serdecznie gratuluje 2 rocznicy blogowania, zycze nastepnych. Musze przyznac ze wspaniale Candy urzadzilas Asiu! Serdecznie pozdrawiam i zycze wszystkiego dobrego! First of all congratulations on two years in blogland! What a wonderful blog you have too. I found you via Paula and I am so glad I did! I'll become a follower and facebook fan! Your candy looks amazing! Hi Joanna - congrats. 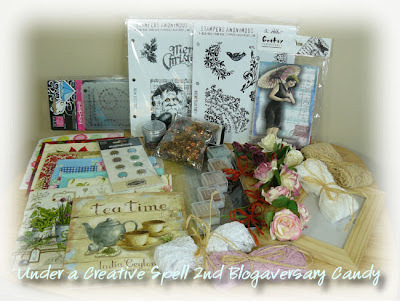 on your blogaversary, and thanks for the chance to win such a fabulous prize! I have been a follower since we were both on the Sentimental Sundays DT - don't do Twitter or Facebook though! I will pop your details on my sidebar. I signed up to follow, added you to my sidebar. Happy 2 year blogaversary, Hope you pop by and say Hi! Trafiłam przypadkiem ale chyba zostanę na dłużej. Gratuluję rocznicy i życzę jeszcze wielu takich okazji do świętowania. Obserwuję blog i na Fb. Gratuluję drugiej rocznicy! Na kolejne dni, miesiące i lata życzę ciekawych pomysłów i wielu inspiracji! Obserwuję również na Twitterze i Facebooku. O! i mam rodzinę w Oxfordshire :) w czerwcu się do nich wybieram! I ja stanę w kolejce po te cudowności ;).. Gratuluję drugiej rocznicy i oby ich było jak najwięcej :).. Pozdrawiam! Thanks for the chance to win your giveaway! I also liked your FB page http://www.facebook.com/venusfor2na and lastly, I'm follower of your amazing blog. I recently discovered your site and you are very talented! Congrats on your 2nd anniversary and wishing you many more! I added your picture, but am not a fan of FB/Twitter...sorry. Thanks for the chance for winning this spectacular prize! Joanna, that's so generous of you to have this gorgeous candy! I'm a new follower on your blog, twitter and facebook. Thx so much! great candy followed you for ages, love what you do! follow you on twitter too. added you to my sidebar!! Happy Blogaverysary! I'm already a follower and shared on my blog sidebar. Thanks for the chance to win. I have been following you on your twitter. Oh what a wonderfully fattening candy you are offering!!! 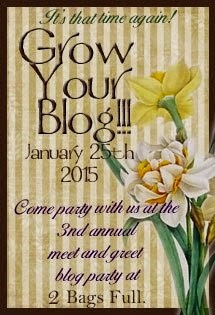 :) Thank you so much for the opportunity to join in the celebration of your 2nd year in blogland. I look forward to seeing more of your creativity in the coming years. I've joined your blog, liked you on facebook and I have NO clue how to tweet so I will not be doing that, but I'm off to add your picture to my sidebar now. Lovely candy. Thank your for giving us the chance to win these goodies. Hi Josnns, Happy Blogaversary, and what fab candy to celebrate. Am already a follower, thanks for the chance to win. Heres to another year of wonderful blogging. Wow what an awesome place to be and I love your blog. I am now a followers, facebooker, and leaving this comment, sorry I don't twitter. 3 hits better than none. Hej, Jak miło - kolejna Polka:D Zapraszam do Candy do mnie (chyba też jednak obfotografuję zawartość, bo nikt na niespodziankę skusić się nie chce;)). No i dołączyłam do obserwatorów. Pozdrowienia serdeczne ze słonecznej dziś Gdyni! Asiu gratuluje stazu, zycze wielu pomyslow. I ja się ustawiam w kolejce. Im following you by email! Im following you with google friend connect! I ja spróbuję szczęścia w losowaniu. Blog.Pozdrawiam. Oh my Goodness!!!! What a generous giveaway!!!!!! Thank you SO much for the chance to win!!! NO, i am not in diet, hahahaha!!!!! I like in Facebook! Happy blog anniversary!!!! Enjoy your weekend and happy scrapbooking day! Thanks for the chance to win this lovely candy! I posted on my blog. Gratuluję kolejnej rocznicy i ustawiam się w kolejce po słodkości. PS Oglądam przez blog oraz facebook. How are things? Great candy hun. I am a follower already and have liked you on Facebook too. Link is on my sidebar as well. Thanks for the chance. Congrats on the blog anniversary!! How very cool. Isn't it amazing how we meet people through blogging. I'm still amazed by it all (and am relatively new to it). I see you started following me on pinterest and I'm following you too. I also signed up as a follower to your blog. I'll like you on FB although I'm not that active on it..... Also will add your candy to my sidebar. Happy 2nd Blogoversary!!! I am a new follower and i am really looking forward to seeing more of your creations! I love discovering new crafty talent!!! Happy Happy Happy 2nd Blogoversary, and many more! For the contest, I joined your GFC @ncjeepster1. Liked you on Facebook @ncjeepster and follow you on Twitter @ncjeepster. Wow, what a candy! 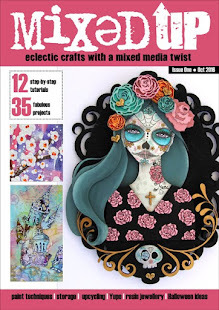 I new follower and been looking around your blog, what fab creations! Thanks for the chance of winning this amazing candy! Happy Blogaversary!!! I'm a new follower and i like you on FB. Your creation are beautiful and blog is full of inspiration. Thanks for a chance to win! I am so glad I found your blog. Your artwork is lovely. I have joined your blog and posted a pic with link back to your giveaway on my side bar. Thank you for hosting such a great giveaway. Joining your Blog, Because you do nice work! Thanks! Like on F.B. ~ Too! Greetings from sunny Spain! I am very pleased to meet you! This wonderful candy to help me realize a dream, to learn this art. I'm very glad I became a regular reader of your blog http://rusalena.blogspot.com/ hug! Cudne candy, mam nadzieję, że to mi dopisze szczęście w losowaniu. Taki prezent na urodzinki :). Ustawiam się w kolejce (jakże zacnej!). Jestem dość świeżym obserwatorem bloga - informację o candy zamieściłam w pasku bocznym mojego fotobloga oraz w poście na craftowym blogu , na którym prezentuję swoje papierowe prace. I have joined your "Magical Blog Friends". I have also put your blog candy pic on my sidebar. Pozdrawiam serdecznie i czekam niecierpliwie na wyniki bo Candy cudne. Hello! I'm your newest follower. Thanks for this chance to win. Wow, what a wonderful Blogcandy. Thanks for the chance to win, i've linked you on my sidebar. Happy 2nd Blogaversary! I am your newest follower and FB fan (liked you), I posted and linked your giveaway on my blogside bar...hope you visit me too! 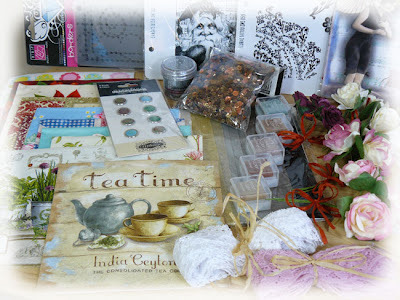 Thanks for the chance to win all these beautiful goodies! I am one of your Magical Blog Friends because I joined via GFC: allibrary. Podglądam z przyjemnością Twoje prace! Your candy picture is on my sidebar..
i've become a follower of your blog and i've posted your candy on my blog sidebar. thank you very much for the chance! Mi tez niedługo stukną dwa latka, ale daleko mi jeszcze do Ciebie... Może się trochę poduczę obserwując Twoje cudne poczynania tu raz na facebooku! I found your candy through Feline Playful. I'm a Follower here now & off to like u on FB & Twitter. (So i'll have 3 chances to win). Also u can check the sidebar of my blog for the candy deets. Gratuluje serdecznie 2 latek w blogosferze. Śliczne cukieraski przygotowałaś. Nie ukrywam ze wiele z nich przydałoby mi się w tworzeniu kartek :) Trzymam za siebie mocno kciuki, a Tobie życzę wielu wspaniałych obserwatorów i wielu kolejnych lat blogowania i tworzenia. Oczywiście (najlepiej samych) słonecznych dni i satysfakcji z tworzenia. Hej! Ustawiam się w kolejce na candy :) Obserwuję bloga. Pozdrawiam i gratuluję 2 lat blogowania. Witaj chętnie dołączę się do listy, a obserwuję Cie tu na FB i na Twitterze. Jestem łasuchem! Obserwuje Twojego bloga, zaraz Cię polubię na FB! Obserwuje jako Mirka ,dodałam banerek u siebie testereczka.blogspot.pl dołączyłam też do fb . Congrats for your blog anniversary. This is a great giveaway. I have posted about this on my sidebar. All content, except where stated (including text, photographs and designs), is copyright of Asia King (Creative Spell Designs). I share my artwork for personal inspiration only. I don’t mind if you copy any of my designs for your own personal use, providing you give me credit by referring to my blog. You may not however copy my designs and photographs for contests and publications entries (online or otherwise) or to sell in either handmade or printed form. You may not copy my designs and photographs for advertising & commercial purposes, without my prior permission. Thank you for your understanding. Hello, my name is Asia - welcome to my crafty blog! I'm a creative card maker, occasional scrapbooker, mixed media explorer and handmade home decor lover :). Stay around if you’re prepared to become bewitched by my creative spell :). Follow Asia's board My Creative Spell on Pinterest. © 2011 Under a creative spell, AllRightsReserved.